This place. This freaking place. 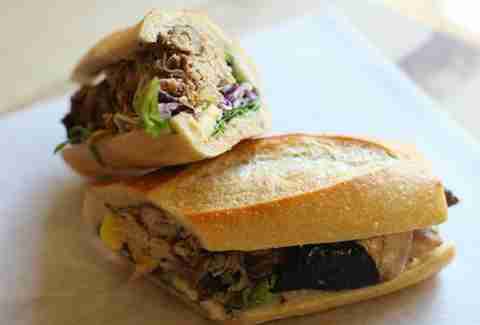 SUNdeVICH is the favorite sandwich shop you had growing up that your dad told you to NEVER mention to anyone. Well, sorry about that, Dad, but people need to know about the jerk chicken, pineapple salsa, spicy slaw Kingston. Oh, and this place wins "Best Sandwich Shop" in all the local publications you shouldn't be reading. 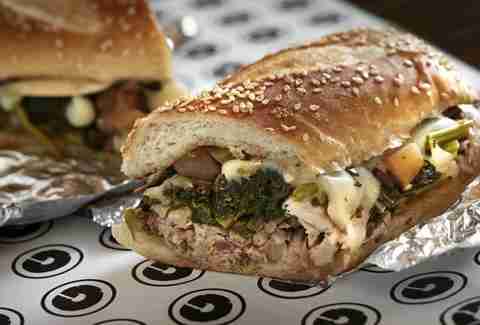 Mike Isabella: you may have heard of him from such awesome spots as Graffiato, Kapnos, G Sandwich shop, and Peach Pit: After Dark. So, outside of the last one that he's not actually associated with, you know the man does great food, like G's jaw-dropping hoagie packed with mustard greens, spicy apple mostarda, and suckling pig spit-roasted next door at Kapnos. "Hey, you. Yeah, the wise guy wearing several pastel polos. 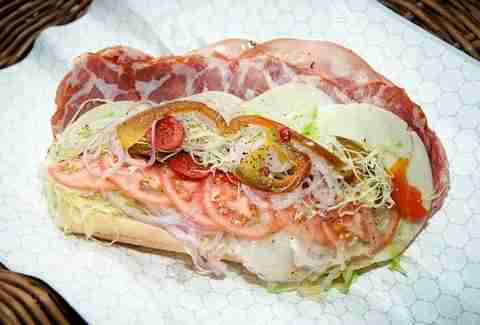 Ever had a real deli sandwich? Didn't think so. 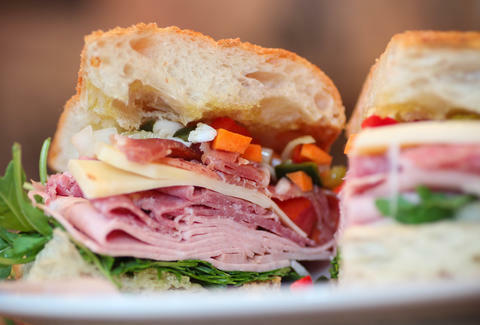 So take your mother's credit card over to this GT deli and grab the 4 Meat Grinder packed w/ salami, coppa, mortadella, soppressata, Provolone, hot peppers, and house vinaigrette. And then give me your mother's credit card." 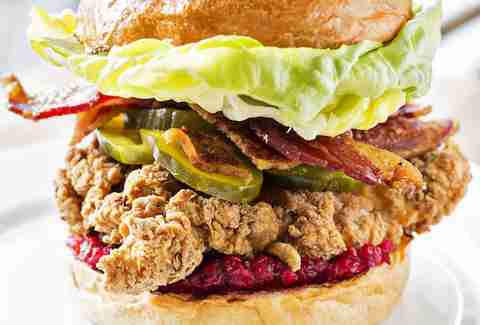 Just blocks from our Commander-in-Chief, you, too, should throw a government-style meltdown if you don't get the Chick Chick: fried chicken breast, bread & butter pickles, bacon, Boston lettuce, cranberry relish, and mayonnaise on a toasted bun. Their "about us" page on the website is completely empty, and here's why: no one's ever been on there, because people are too damn busy taking down the braised roast beef brisket on onion poppy bread w/ beef au jus, sautéed onions, and fresh horseradish.